Ex-Rangers coach Amapakabo joins El-Kanemi Warriors – Royal Times of Nigeria. El-Kanemi Warriors Football Club of Maiduguri on Tuesday signed a one-year contract agreement with Super Eagles assistant coach Imama Amapakabo. The 48-year-old who is an ex-footballer will serve as the club’s new Technical Adviser, the club’s Chairman, Muhammad Zannah, disclosed during the signing of agreement in Maiduguri. Zannah said the choice of Amapakabo was based on the genuine desire to move the club forward and win trophies in upcoming competitions. He said the new technical adviser possessed the expertise required to re-engineer the club in view of his proven track record. “We will stand by him to make sure we succeed and move the club to greater heights. “In the previous season we started down on the table, but we finished at the sixth position in the long run. “In this new season, we will start from the top and finish at the top,” Zannah said. The club chairman assured of the club management and supporters’ club readiness to cooperate with the new Technical Adviser to enable him discharge his duties effectively. Ibrahim Babale, the state’s Commissioner for Sports, disclosed that the state government would rehabilitate the pitch at the El-Kanemi Stadium to international standard. Babale said that the government had also embarked on rehabilitation of the El-Kanemi Warriors camp to improve the players’ welfare. “Government has initiated viable programmes to encourage growth of sporting activities at the grassroots,’’ he said. Also speaking, goalkeeper Amapakabo expressed his determination to lead the club towards achieving victory in the upcoming season. Amapakabo called on the club’s management and fans to work as a team in order to achieve their desired aim. “My expectation is to contribute my own quota in terms of my professionalism. I believe with patience, dedication and team spirit together we can do it. “We must support each other and I believe winning a trophy is possiblehere. I know that the people of Borno love football and their club,” he said, adding that he regarded his mission as a personal challenge. Amapakabo, during his playing career, featured for various clubs. 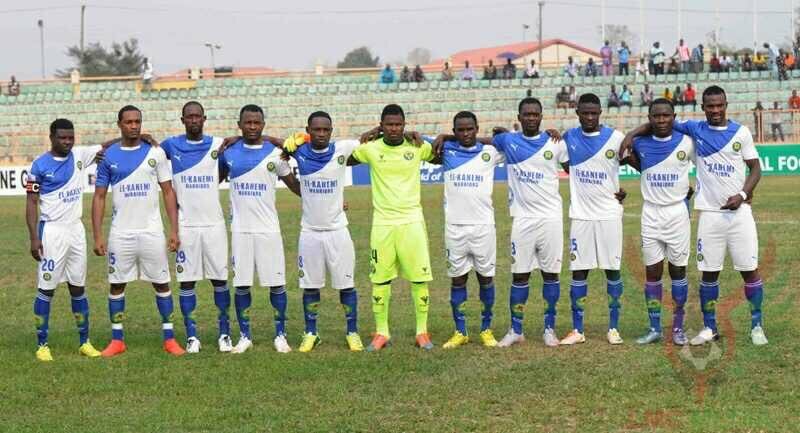 These are NEPA FC of Lagos, JIB Rocks of Jos, Calabar Rovers, Sharks of Port Harcourt and Kano Pillars at various times between 1987 and 1999. He has coached Sharks , Enyimba International of Aba and most recently, Rangers International of Enugu. He also participated in various international tournaments with the national teams. In 1985, he was a member of the Golden Eaglets team in China. Until his appointment, Amapakabo was part of the technical team which led the Super Eagles team to qualification for the 2018 World Cup in Russia.